Schneider Electric, global specialist in energy management and automation, participated at the regional World Economic Forum (WEF) with South African President Cyril Ramaphosa and members of the government recently. The forum highlighted the need to develop and strengthen partnerships between the private and public sector to engage on critical topics for South Africa's future development, including health, security, workforce, higher education, youth skills and governance. “We believe in investing in people, as the backbone of the economy, and we place significant focus on vocational training and on the job training,” says Caspar Herzberg, president of Schneider Electric Middle East & Africa region, who co-chaired the ‘Taskforce 8: How to create jobs for youth’. “The conversation is on how best to develop young people in South Africa, providing them with the skills they need to contribute to and participate in the 4th Industrial Revolution (4IR). He added, “It is important that government and industry engage in win-win partnerships, particularly around key verticals of smart city, such as energy, water and transport. Through these partnerships, industry is able to invest, and experiment, and that is a very attractive proposition.” For Schneider Electric, access to energy, education and basic connectivity is a basic human right. To that end, Schneider Electric Foundation has trained 150 000 underprivileged people in energy management since 2009 because the company believes the digital economy and real economy are intertwined. Without energy, there can be no digitization - “everything we do is powered by energy,” added Herzberg. Schneider Electric supports South Africa in its quest to provide safe, reliable and sustainable energy. The company has ambitions of training an additional 30,000 people in the next four years, enhancing digital skills to prepare South Africa for the future. 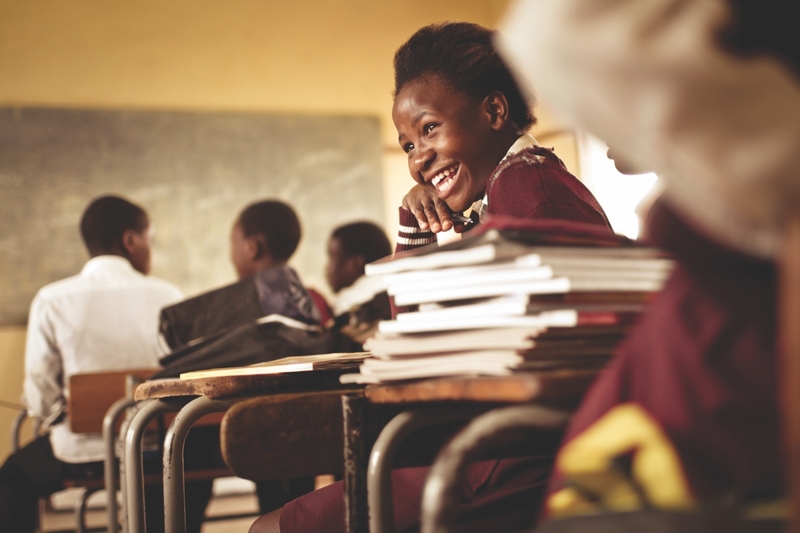 Schneider Electric's commitment to South Africa and its development remains firm with a commitment to train 1,00,000 underprivileged people by 2025. Read more about Schneider Electric’s participation here.